Here’s my painting for this week’s word “help”. I painted a vacationing fat cat from the view of a panhandler. 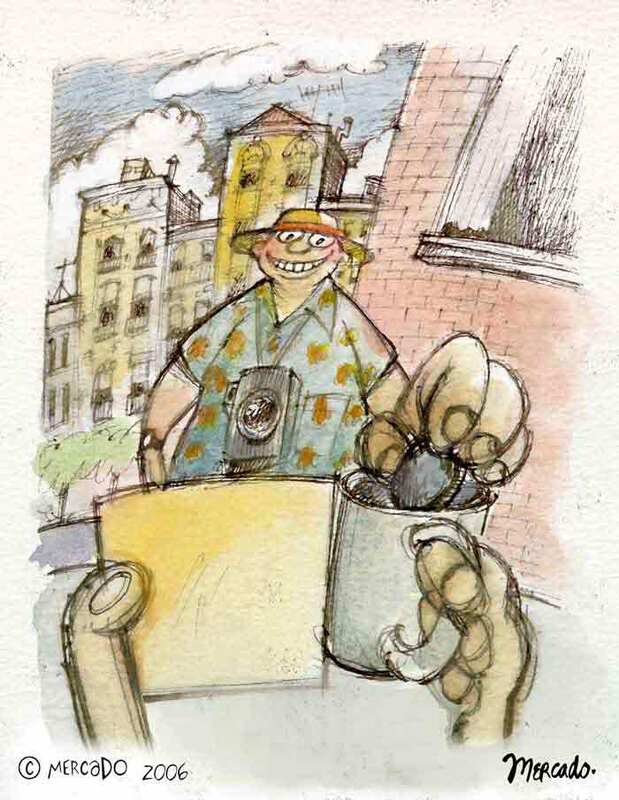 I tried to play around with foreshortening a bit with the hand extending from the tourist’s body to the tin cup with the cityscape in the background. To add a little intrigue, I show the back of the sign so that the viewer can use his/her imagination as to what it says. Remarkable perspective…I like that chubby hand dropping in the coins. The hand’s owner looks so far away – really shows the distance between the two worlds. Excellent foreshortening! 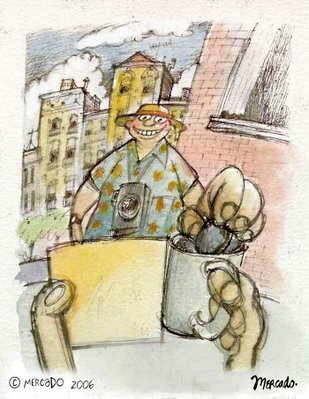 I submitted a panhandler cartoon to the New Yorker recently…got rejected, of course! Great idea, vern! nice work! Excellent work and originality here! Maybe the sign simply says “HELP”!